Ilyushin Il-12B OK-DBG was converted to a cargo aircraft during its time with CSA. The Il-12B was the first Soviet aircraft to enter service with the airline. 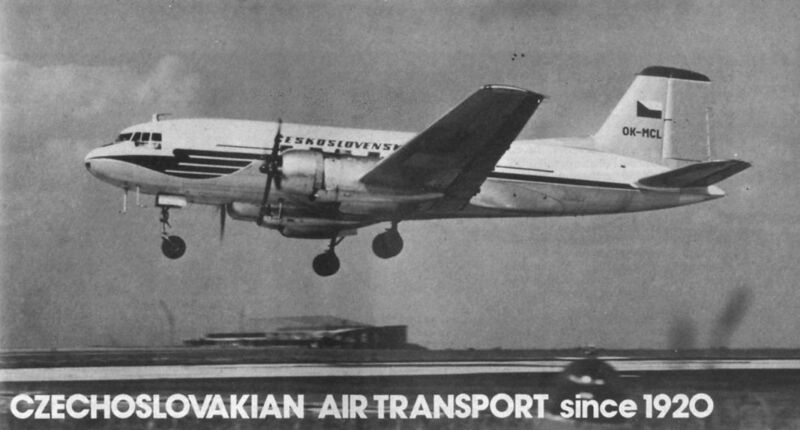 The Avia-14-32A was a licence-built Ilyushin Il-14. This example, OK-MCL, flew with CSA bearing the fleet name Trencin. Avia-14-32A OK-MCH bore the name Pisek in CSA service. The type could carry 32 passengers in its pressurised cabin. Ilyushin Il-18 OK-PAG Vysoke Tatry taxies out past Tupolev Tu-104A OK-NDF Ceske Budejovice. Tupolev Tu-104A OK-MDE Ostrava was one of six of the type operated by CSA. 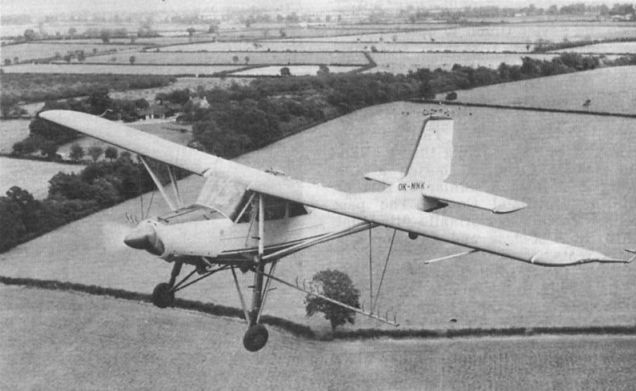 A Super Aero A-45 of the type used on internal air taxi services to industrial centres from 1951. Douglas DC-3 OK-XDH of CSA under tow by tractor. The Czech-built L-60 Brigadyr served with CSA’s agricultural division until superseded by the Cmelak. 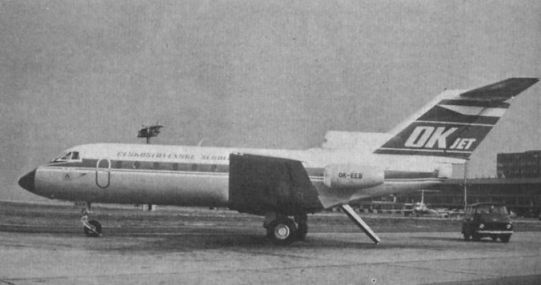 CSA introduced the Ilyushin Il-62 airliner into service on May 1, 1968. 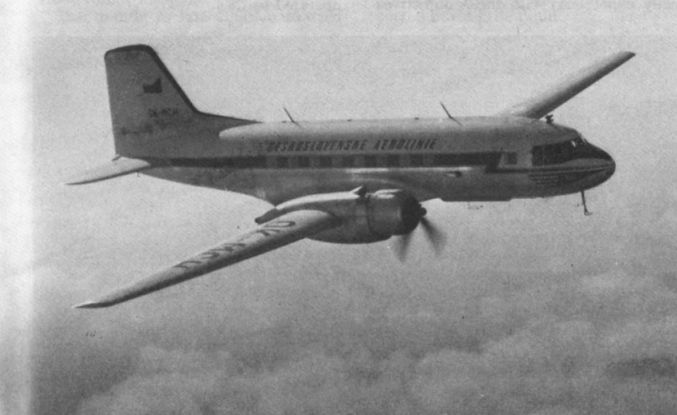 Although this example bears CSA trim, it carries the Soviet registration СССР-86666, and was an Aeroflot aircraft. Another Aeroflot Il-62 with Soviet registration but wearing the early CSA livery for the type. 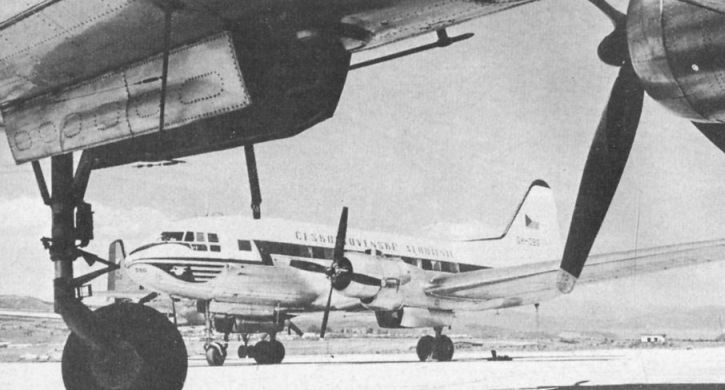 CSA began to receive its own Il-62s in 1969. 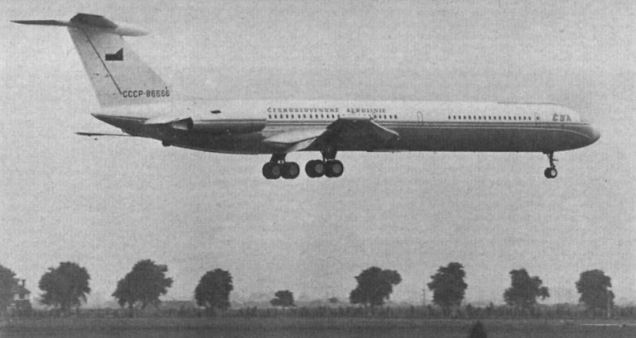 OK-AFB is one of 11 Tupolev Tu-134As which replaced Tu-104As on short-to-medium-stage routes. CSA introduced the Yak-40 on domestic routes in late 1974. OK-EEB is depicted here. Tupolev Tu-124V OK-TEA Melnik was one of three such aircraft acquired by CSA late in 1964. The type is a scaled-down version of the Tu-104.